Cloud-based Monitoring for OTT Workflows > News | Namsung Traders Co., Ltd. Deploying cloud-based OTT workflows, service providers can introduce streaming services more quickly and cost-effectively. However, it’s important that broadcasters not lose sight of the importance of delivering a high QoE on every screen. 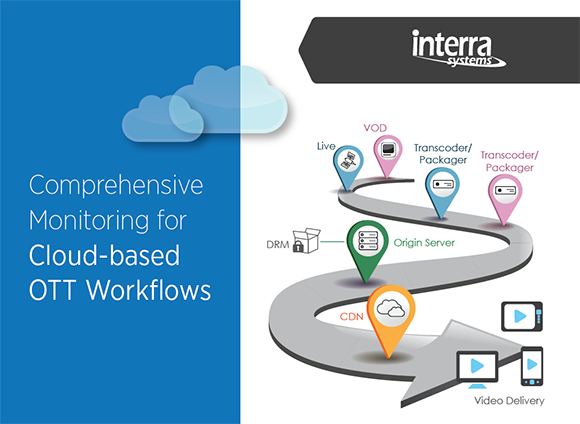 Advanced QC and monitoring tools are needed in the OTT cloud environment to detect issues throughout the entire workflow and ensure flawless QoS and QoE to viewers around the world. With a comprehensive OTT monitoring solution, service providers can stay competitive and meet the demand for high-quality video content on every screen.